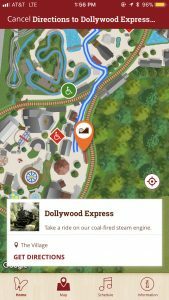 Dollywood’s new mobile app has changed the way I experience the park — I consider it my own personal tour guide and trip planner. 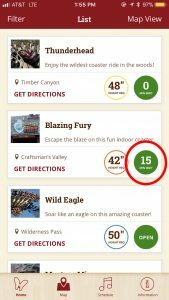 I love roller coasters, so one of my favorite features of the app is the list of ride wait times — all updated in real time. 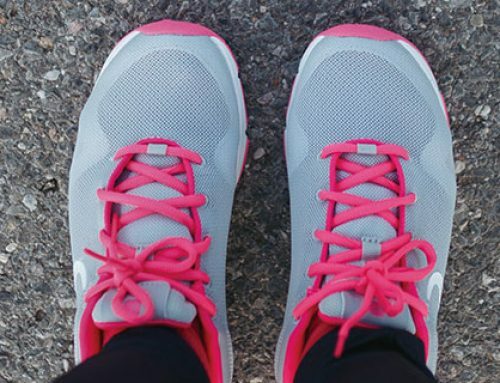 Having this information on hand helps me strategize how I hop from one ride to the next. 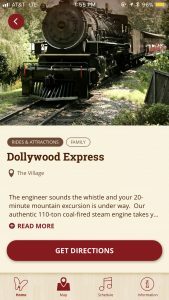 Of course, the app also features descriptions and photos of every attraction in the park, including rides, restaurants, shops and more. 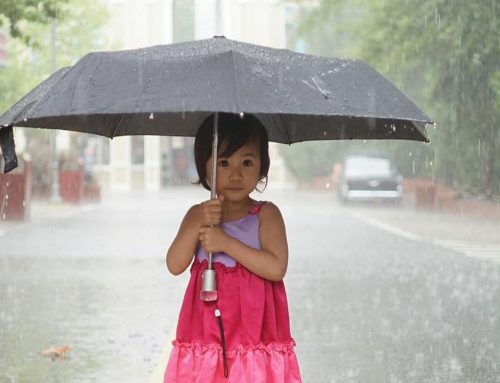 On each attraction’s page, you’ll see a photo, a brief description, its category (i.e. 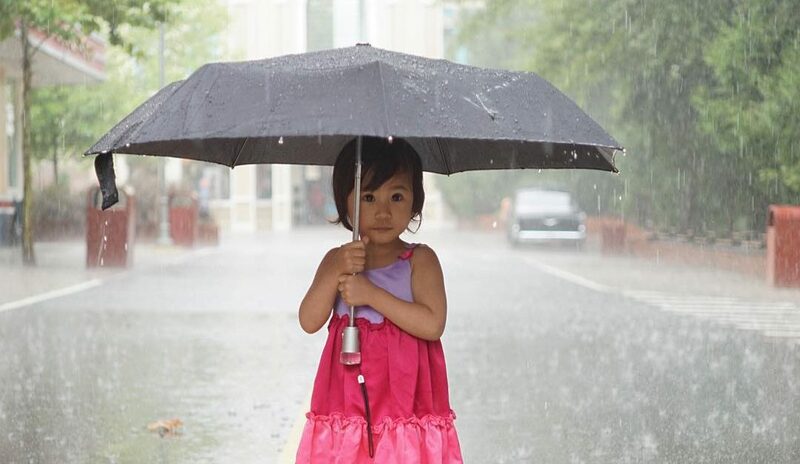 thrill, family, water, children, etc.) 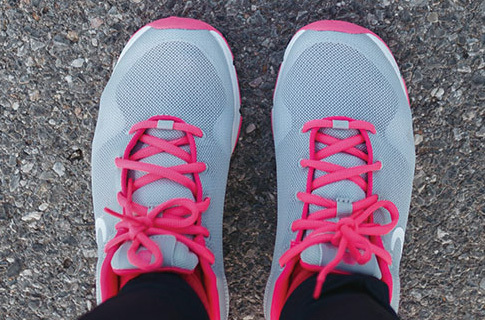 and height requirement — all the important details. 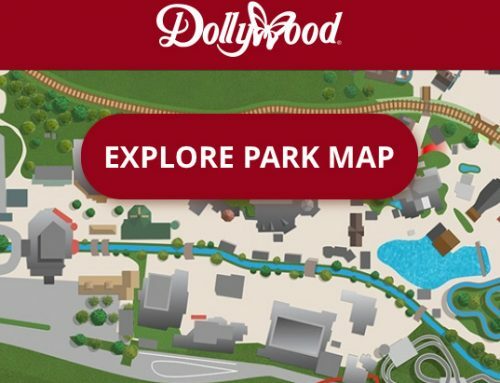 While I’ll always keep a paper park map close by (call me old-fashioned), the wayfinding feature in Dollywood’s app is really amazing and cutting edge. How does it work? 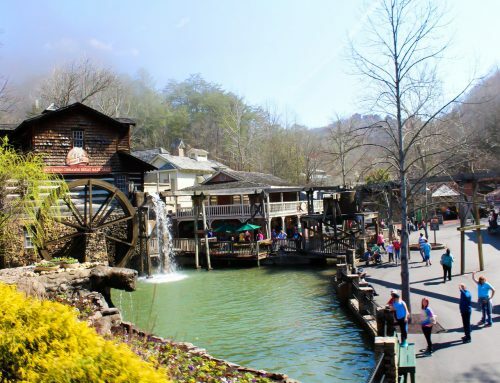 Let’s say you’re finishing lunch at Aunt Granny’s Buffet and want to take a ride on the Dollywood Express. The app can detect your location and will give you customized directions to the train depot. 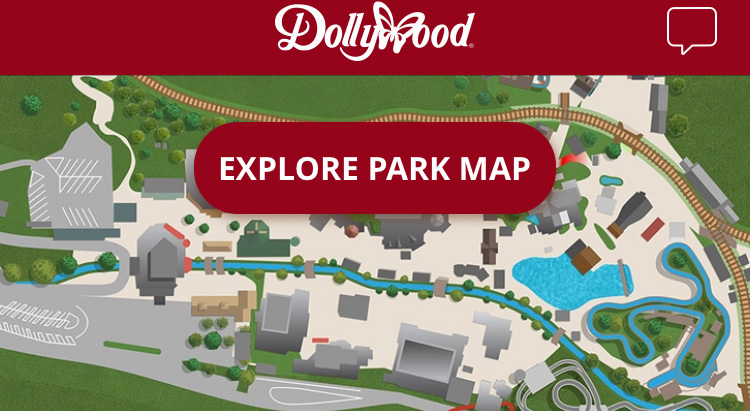 It’s a very helpful feature, especially if you’re new to Dollywood. But even as a frequent visitor, I’ve used it to find the best route to an attraction to save time. 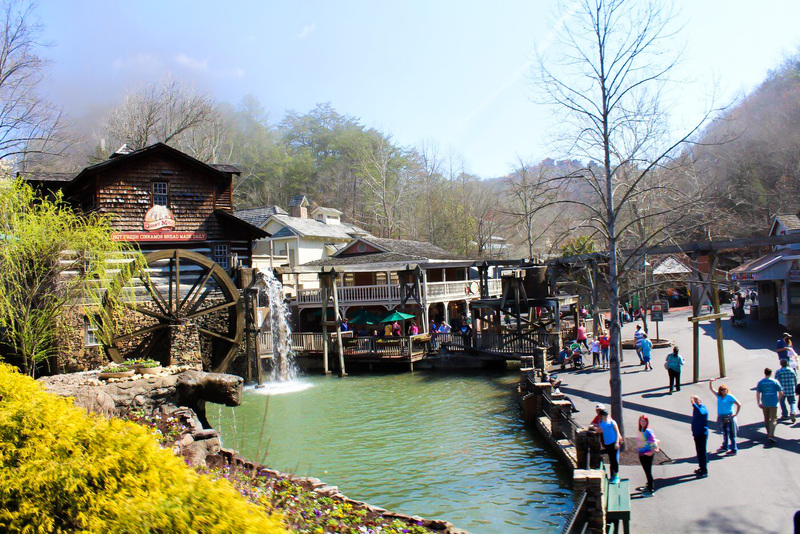 Dollywood is home to A LOT of rides, shows, shops, restaurants and other attractions. The app allows you to filter the “points of interest” marked on the map based on specific categories that you select. 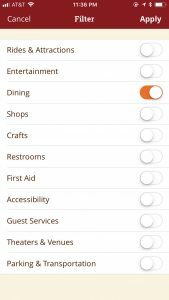 For example, if you’re looking for a place to eat lunch, toggle the “dining” category switch and you’ll see the map with only the restaurants and other eateries marked. You can also filter by other categories such as shows, shops, restrooms, etc. 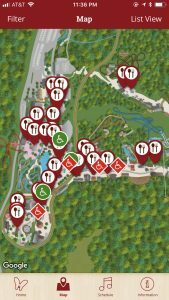 I also recommend using this feature before arriving at the park to get a lay of the land and map out your day. 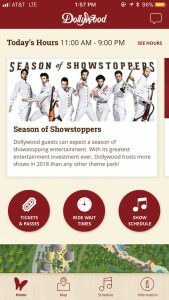 The show schedule feature will be extremely useful this year for the “Season of Showstoppers,” the park’s all-time largest investment in live entertainment. 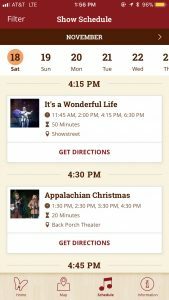 In this section of the app, you’ll see a chronological list of every show taking place that day, its location and length. 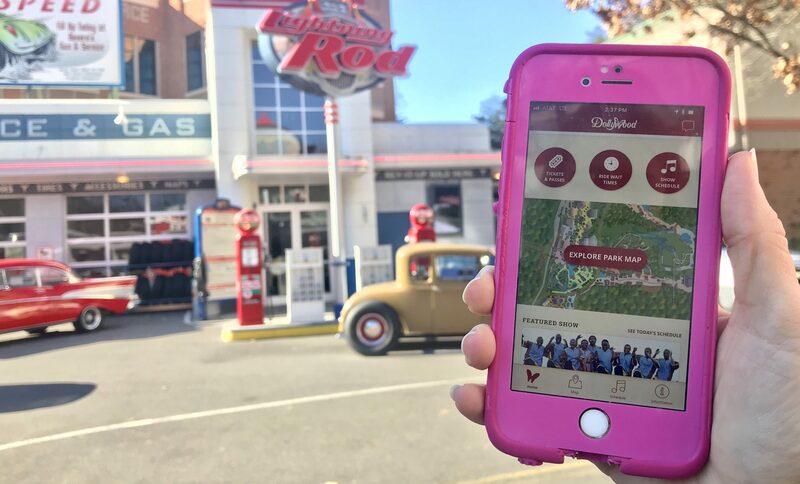 Now is the perfect time to download the app and start learning about everything the park has to offer. 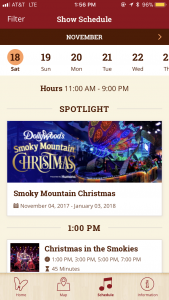 The information section of the app includes everything you need to know before you visit: operating days, hours, special events, tickets, season passes, frequently asked questions and more. You can further personalize your app experience by entering your email address and season pass number to receive special alerts and offers. 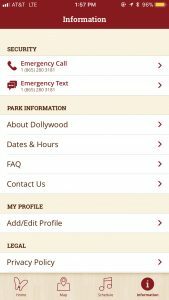 Dollywood’s app is downloadable for free on both iOS and Android.